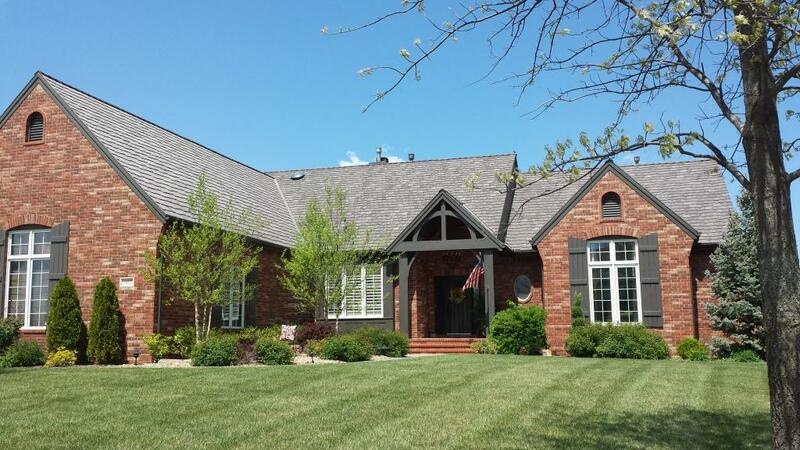 “In the 11+ years I’ve been installing DaVinci polymer roofing, we’ve never had one of their roofs totaled by hail,” says Mike Heiland, president of Heiland Roofing and Exteriors in Wichita, Kansas. That’s a pretty bold statement for a roof … and for the roofer. In April of this year, a microburst went through a Wichita neighborhood that had a large number of concrete tiles on their roofs plus three DaVinci composite roofs installed by Heiland. “The majority of concrete tiles sustained very serious damage, with many others demolished,” says Heiland. “Of the three DaVinci roofs we installed, one home had zero damage. Another home had one missing ridge cap. The third home needed approximately 10-feet of ridge replaced. That’s absolutely nothing compared to the devastation that all the other homes in that neighborhood experienced. See also: Hail No Match for DaVinci Roofscapes Polymer Roof Tiles and Oklahoma Homeowners Get Insurance Discounts with DaVinci Roofscapes Impact-Resistant Roofs.